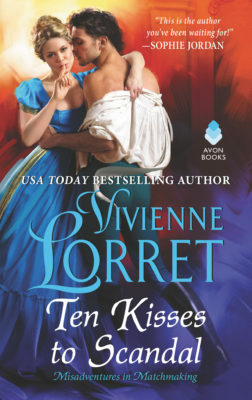 Without further ado, I give you the glorious cover for TEN KISSES TO SCANDAL! 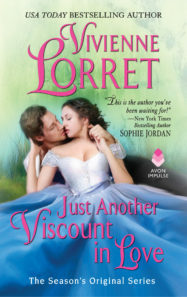 Avon Romance has worked magic again, and Jon Paul Ferrara is a true cover art master! 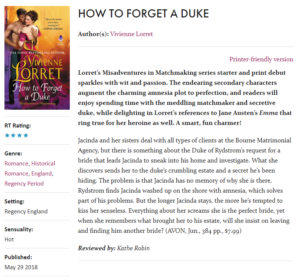 And… HOW TO FORGET A DUKE will be available in a month (May 29, 2018)! So exciting! 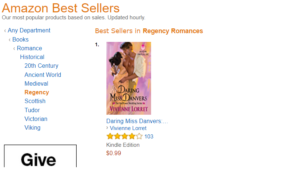 I’m thrilled beyond words to share this with you! A tenacious Regency matchmaker who thinks her client has something to hide goes on a quest to discover his secrets only to lose her memory and, in her state of amnesia, fall in love with him herself. Jacinda Bourne and her sisters run a matchmaking firm and have the opportunity to attract more business when they sign the Duke of Rydstrom. Convinced he’s keeping secrets that are impeding them from doing their job, Jacinda sneaks into his home and finds a clue only to be caught by the duke in his office. After initially letting her go, he realizes she may have unearthed information that places people he loves in danger. Traveling to his country estate to block Jacinda’s attempts to learn more, he is stunned to discover she has been injured on her journey and has no memory of her life before she washed up on his land. Keeping her out of his business is futile, but he’s not prepared for how perfectly she fits into every facet of his life. His sister, staff, and nearby villagers all fall in love with her, and while he knows he needs to marry an heiress, he finds himself increasingly tempted to abandon duty and expectation and be swayed by love. 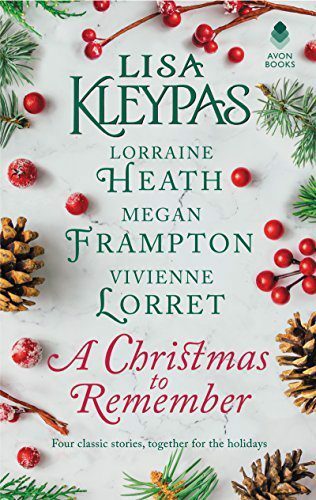 Yet just when he decides he can’t live without her, a formidable aunt reminds him of everything he has to lose if he chooses her, and Jacinda regains her memory and her own moral code, which demands she give him up for his own good. 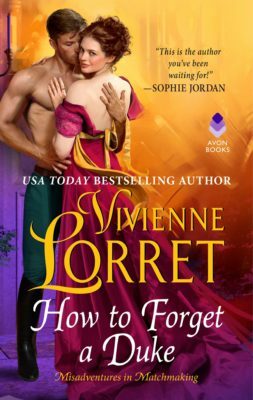 Lorret sends up a rollicking historical romance with traces of the Jason Bourne saga in a domestic setting, boosted by vivid characters and lively storytelling. A sparkling, witty romance that is both lighthearted and intense. Ready for the first glimpse of TEN KISSES TO SCANDAL?